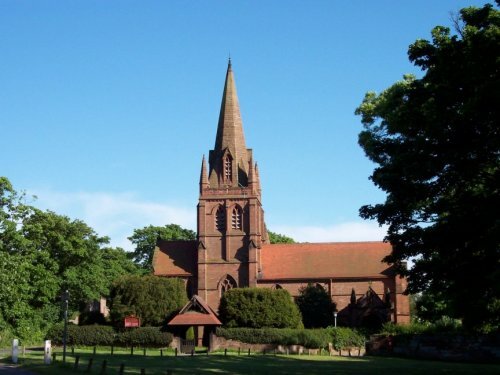 A picture of St Bartholomew's Church in the Village of Thurstaston Wirral (Diocese of Chester), where my Wife and I where married many years ago. The Lychgate was erected in memory of Thomas Henry Ismay of Dawpool in 1900. The name Ismay appears many times on various brasses inset into the walls of the Church, and refers to the ship-owning family, who in 1884 rebuilt and occupied Dawpool, a splendid and large house that stood on a hill above the church for only forty years.